We don’t really know if Hodgson received any medals for his service in the British Army during WWI. The only certificate that has come to light is the one reproduced below. This was an award for a posthumous medal which was actually awarded to Hodgson’s widow, Bessie. The certificate lists Hodgson’s name and his regiment (in very poor handwriting) “R.F.A. 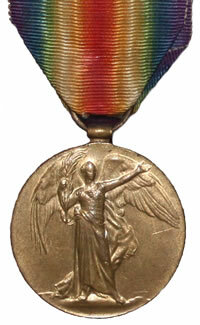 11th Army, Lieut.” The medal indicated is the “Victory” medal and “Theatre of War first served in: France” and “Date of entry therein: 5-10-17”. The notation of “Died 19-4-18” is included under remarks. There are several bunches of numbers on the certificate which I cannot explain. My assumption is that they are bookkeeping notations of some sort. Perhaps one of the blog’s readers can enlighten us? One of the interesting aspects of this certificate is the fact that it was originally addressed to “Lisswood, Borth S.O., Cardiganshire” but this is crossed out. 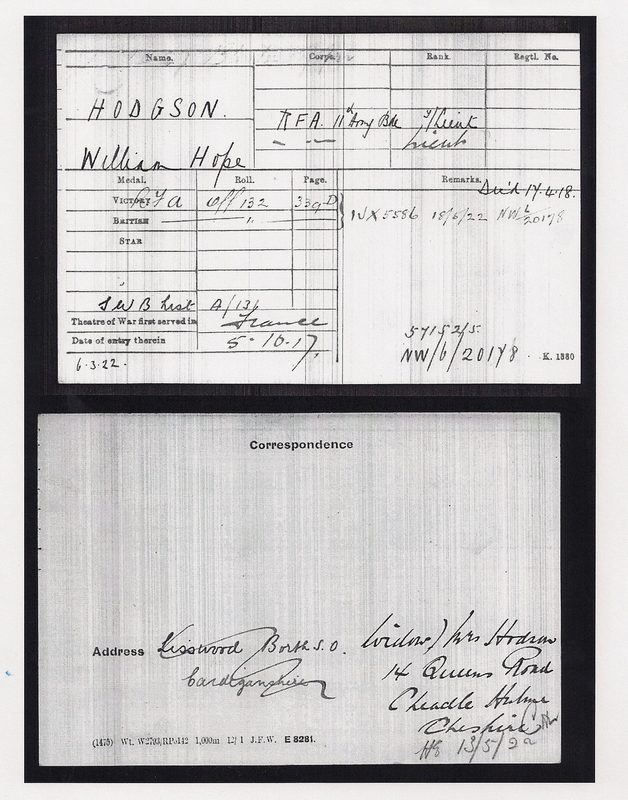 The new address reads “Widow Mrs Hodgson, 14 Queens Road, Cheadle Hulme, Cheshire”. This is presumably after Bessie had left Lisswood and Hodgson’s family and returned to her own family where she would live out the rest of her days and never remarry. At present, I have no idea what happened to this medal. Presumably it was in Bessie’s possession and she did not have any children so where did it go after her death? It could have gone to Lissie, of course, as Bessie did turn over control of Hodgson’s literary estate to her former sister-in-law. We may never know. In the meantime, I present this simple card which acknowledges the debt felt by a country for a man who performed the ultimate sacrifice. 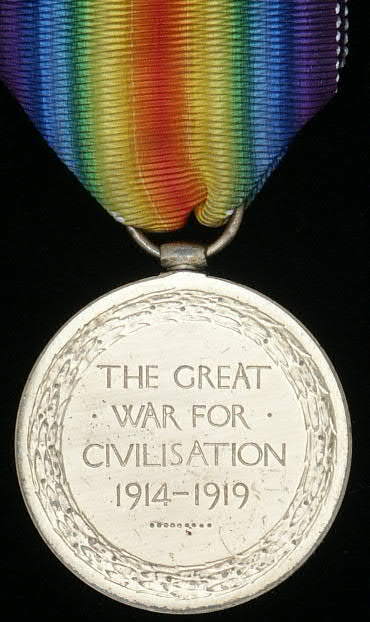 This is an example of a WWI British Victory Medal. It is this type of medal that Hodgson’s widow received. This is the reverse side of the WWI British Victory Medal. In a letter by Hodgson I remember vagely he wrote something like “What a book I would write if I will survive this hell” and I must say what a shame he did not make it. I read several volumes dealing with WW1 and I wonder what he would have written had he survived the war, with all the horrors he saw (the trenches, the decomposing bodies, the shell-holes, the no man’s land with a burnt tree standing here and there). I suppose it would be something much more morbid and macabre than “Three Lines Of Old French” by Abraham Merritt which is also WWI story with a supernatural element.